From this it follows that every liturgical celebration, because it is an action of Christ the priest and of His Body which is the Church, is a sacred action surpassing all others; no other action of the Church can equal its efficacy by the same title and to the same degree. 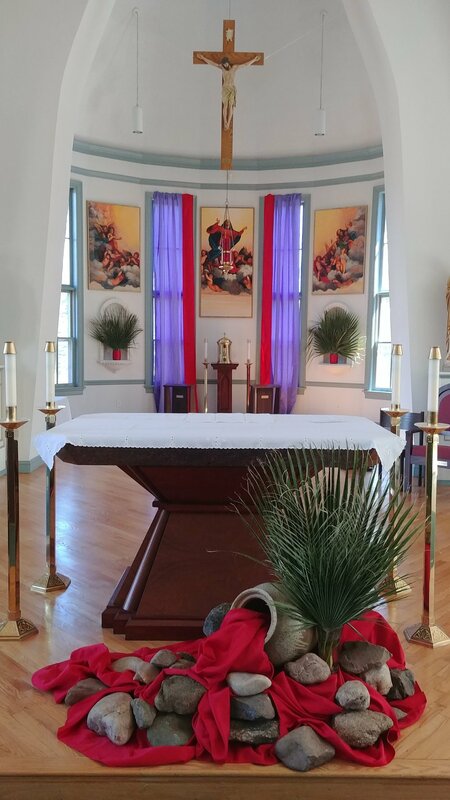 At Saint Mary of the Annunciation Church, our public worship in all liturgies strives to fulfill the spirit that echoes throughout the Constitution of the Sacred Liturgy. Our parishioners are actively engaged in the various liturgical ministries that function throughout the Mass and other liturgies. Extraordinary Ministers of Holy Communion, sacristans, altar servers, lectors, greeters/ushers and musicians all perform their roles with dedication, enthusiasm and a sincere desire to serve. There are always opportunities in each one of these ministries for additional volunteers, and we warmly welcome you to join us in serving the Lord and His people!